Volunteer group leaders are extraordinary people who make a big difference in the lives of grieving children and adults. OUR HOUSE is able to serve thousands of people every year thanks to the dedication and generous hearts of our volunteers. Our volunteers co-lead support groups in the evenings in our West Los Angeles, Woodland Hills, and Mid City/Koreatown centers or during the day and evenings at various school and community sites in the greater Los Angeles area. We ask for a minimum one-year commitment to co-lead a group every other week in-house or once per week for short-term groups held in the schools/community locations. In addition, all volunteers attend group supervision conducted by our clinical staff once every other week. The average time commitment, including group meeting time and supervision, is about 10-15 hours per month. 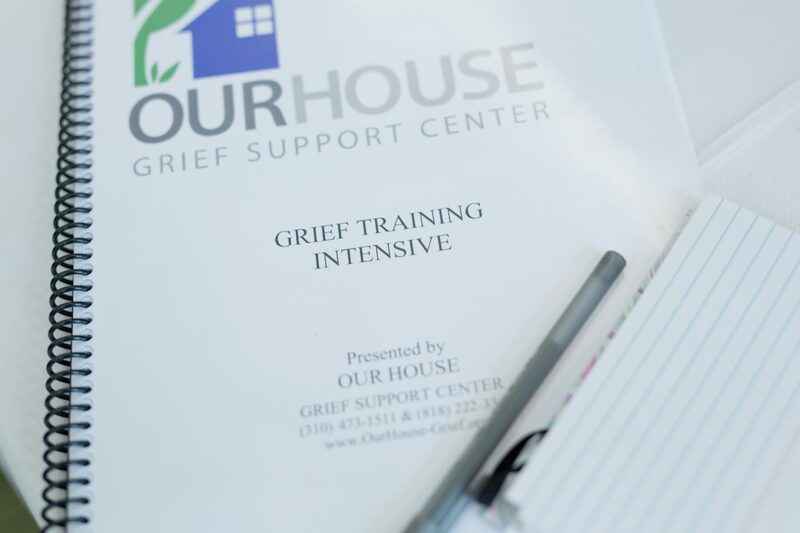 Group leaders at OUR HOUSE do not need any prior experience, nor do they need a clinical or professional background in bereavement, counseling, or education. Once you have submitted an application you will be contacted for an interview, and if accepted, you will be invited to attend our training to prepare you to be an effective and compassionate group leader. What does it mean to co-lead a group? OUR HOUSE groups are led by two co-leaders who work together to create a safe environment for group members. What is the purpose of group leader supervision and why is it mandatory? Group leader supervision is an opportunity for group leaders to come together to receive ongoing education and support from our clinical staff and their peers. The purpose of this mandatory supervision is for group leaders to continually learn to grow in their role as a group leader, and to provide our group members the most effective support. If you are interested in becoming a volunteer group leader, please complete the online application. We will contact you to set up an in-person interview. If accepted, we will register you in an upcoming 3-day training to become a group leader for adults, or 4-day training to become a group leader for children and teens. We are also accepting applications for bilingual volunteers to lead Spanish-Language groups. Training is held in English and Spanish, and supervisions are held in Spanish. Upon successful completion of the application process, trainees are offered placement as group leaders. They will be asked to complete a Livescan background check prior to group assignment.